Artists...Visit this site, is nice, affordable and unique! and to advertise their art/crafts online. American Handmade Crafts (AHC) offer a gallery space for each artist of 276 images/items. All items have a "sole page" where the retailers and customers all over the world can order directly from the Artists. If you are an ARTIST and want to join, visit this site today to enroll. the Artists galleries and services are affordable for all artists. 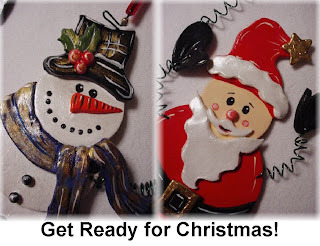 The Wholesale section is private and only for wholesale artists and registered retailers. If you are a RETAILER searching for new artists...This is the place to go. Retailer, Enroll TODAY FOR FREE! 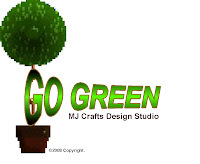 MJ Crafts Design Studio by Artist Mary Gonzalez, goes Green! All materials that Mary used to create her handmade art/crafts are pro-environment proof. MJ Crafts will have a section where all items are related to the "Go Green" theme and all materials are 100% biodegradable. Come back for new blogs and to keep you posted of New Items and new ventures! "Go Green", and help the world by creating a better world!